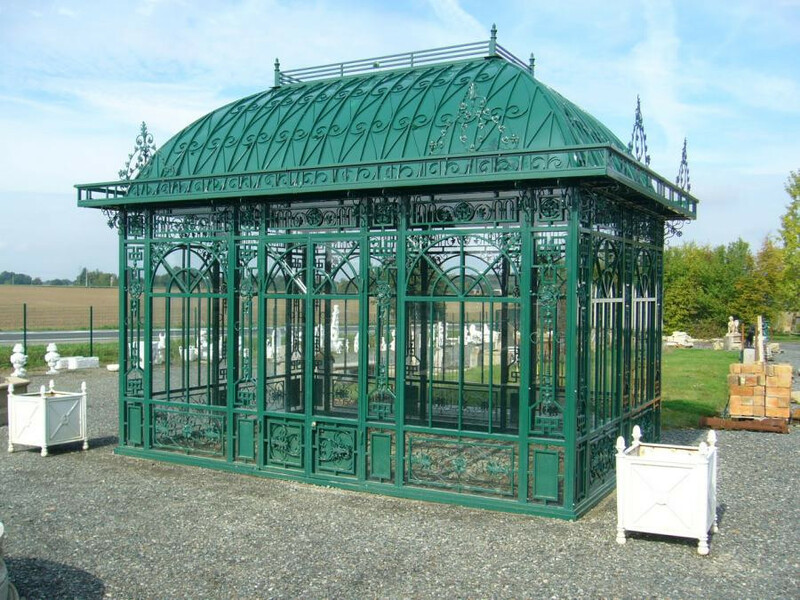 Greenhouse Napoléon III style from the original model in France. 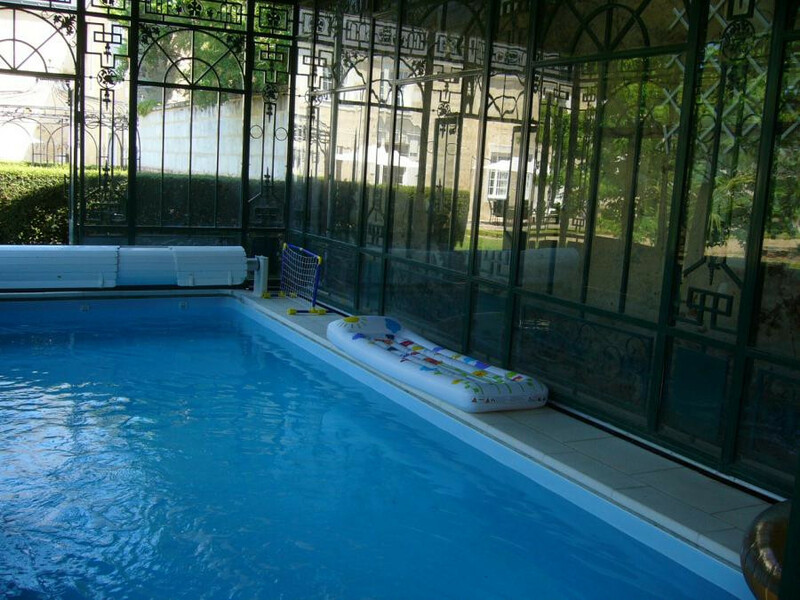 Wrought iron manufacturing, toughened glass and two double doors. In order to facilitate the assembly, the panels are numbered and are assembled to each other only by bolts. 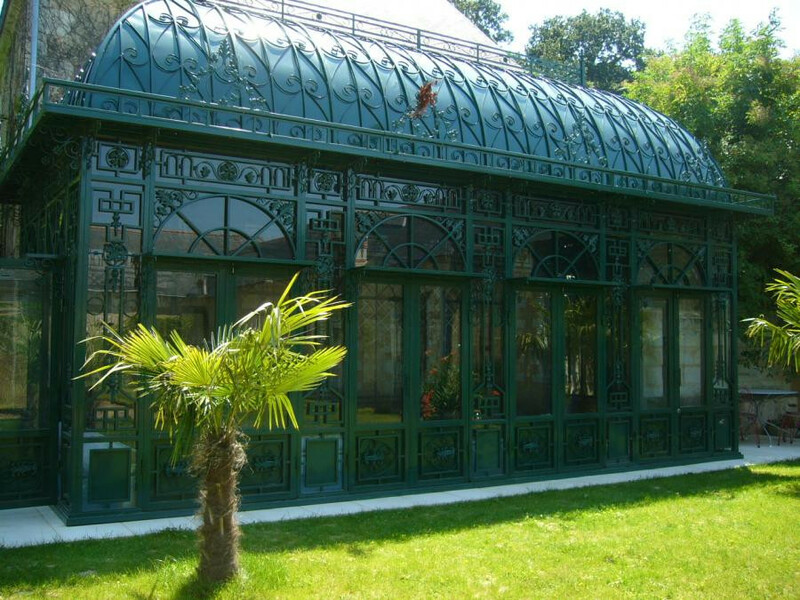 Magnificent greenhouse for park, garden and swimming pool. It is possible to make to size. Example size: Length 5.36m Width 3.76m Height 4.60m (9.36x4.99x5.16 yard) €31000 about 2 tons. Contact for more prices according to size.